Social media is a key part of USAGov’s outreach efforts, which aim to connect the public with government information and services quickly and easily. As we all know, social media is continually evolving, and we try to adapt accordingly. This blog was originally posted on HIV.gov on May 29, 2018. Over the course of tax season, our content and marketing teams worked together to help our audience better understand the ins and outs of filing taxes and other important steps in the process. We collaborated on messaging for our various platforms including targeted email and social media. We covered many important tax topics, from finding out if you qualify for the Earned Income Tax Credit to avoiding refund scams. 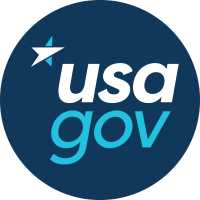 Content on the USA.gov and GobiernoUSA.gov websites provides information on many different government benefits, services, and programs. We group the content into various taxonomy buckets to make it easier for people to find what they are looking for. But after listening to user feedback, we realized that content about different programs wasn’t always written in the same style and format, which made it hard for people to find what they were looking for across topics. The process of searching for and bidding on federal government contracts is complicated, and last year our research revealed that it was an area the public needed help navigating. In order to understand if certain pages and sections of our website effectively help customers complete their tasks, we run page-level and pop-up surveys that allow people to leave feedback and tell us what was helpful or what wasn’t. The Contact Center team handles all calls, chats, and emails coming to USAGov from the general public, for help navigating government services and information. We provide a multi-channel shared service platform to serve those who have questions ranging from housing assistance to how to file taxes. Email is an easy, time-saving way for us to connect the public with government information and services. We strive to provide clear information about relevant topics to our more than 850,000 subscribers, in hopes that our emails will stand out in inboxes overflowing with news alerts and sales offers. A core component of the USAGov content team’s job is to make sure the public can find what it’s looking for on our site. One of the main ways we do that is by researching to zero in on the keywords people are using when they search for a topic. Then we incorporate those keywords into our page titles and content summaries.